This article is an ultimate and huge collection of adobe illustrator tutorials from all around the web, 205 tutorials to be precise. These tutorials can help you improve your skills and in your knowledge in illustrator. It can advance you from beginner to professional. The tutorials are very detailed and informative written by professional illustrators for your benefit. In this article I compiled a list of 96 free gadgets PSD resources from talented designers all around the web for you to use in your start up projects, print designs or in web designs. These wonderful gadgets designed from real life gadgets and range from phones, monitors, laptops, cameras and other very useful and handy gadgets. 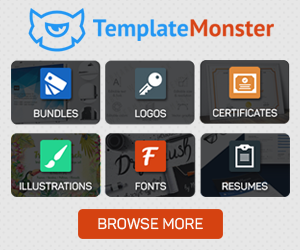 All the resources are of high quality PSD files available free for you to download and use but you better take a look at the license before you use any PSD file. Many of us come across wonderful high end wallpapers or website backgrounds and wonder how it is done or how hard can it be. In this detailed Photoshop tutorial, you will learn how to create a dynamic motion effect wallpaper or website background by experiencing and using only three Photoshop Filters in Six easy to follow steps.